The 208 has been a steadfast performer in the Peugeot stable. 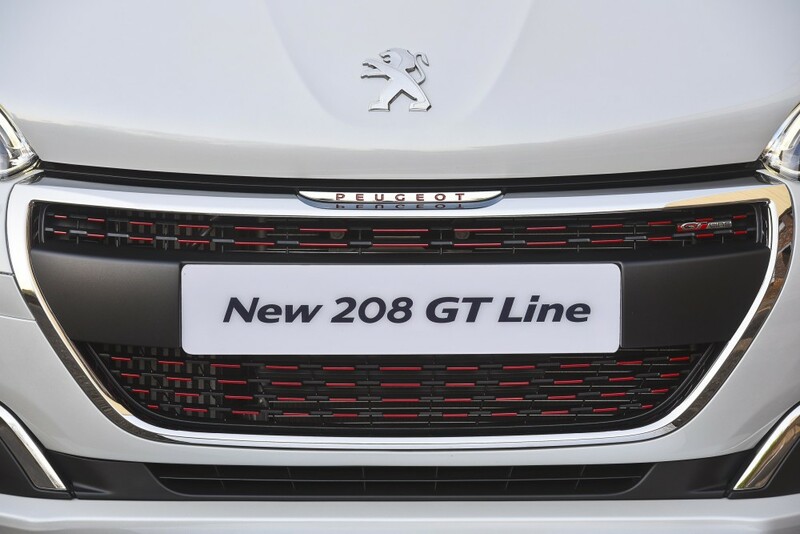 The launch of the new Peugeot 208 GT-Line marks the arrival of a revitalized new flagship for the range and comes with a host of premium quality, sporty equipment. 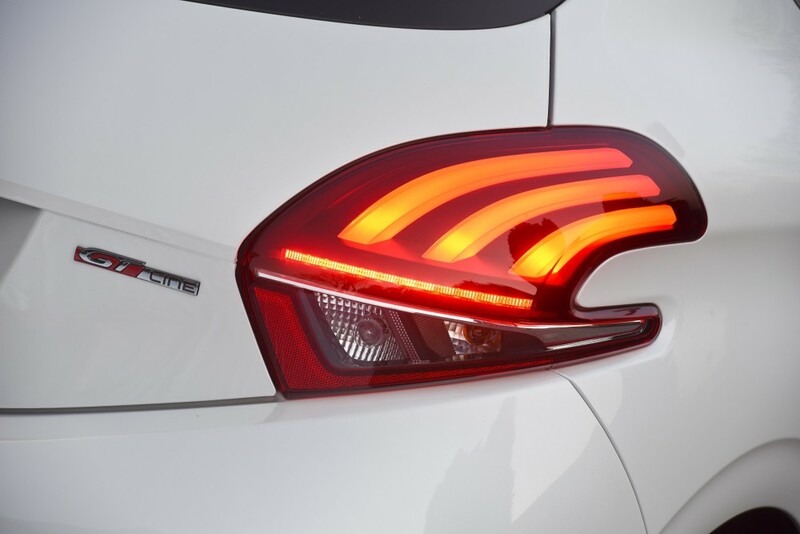 Key features include new headlights with black and chrome elements, creating a sharper, more assertive expression, while LED daytime running lights, together with repositioned fog lamps give the new 208 GT Line a wider, more emphatic look that also emphasises the hatchback’s dynamic character. A new bumper with crisper, cleaner lines is linked to a smoothly integrated grille that’s wider and gains a more pronounced chrome surround. A distinctive black and chrome grille treatment creates a three-dimensional effect. The rear view is dominated by the striking and distinctive deep red 3D LED ‘’claw’’ design of the tail lights. Exterior features unique to the GT Line model include a special ‘Equaliser’ grille with red detailing, a gloss black finish for the grille surround, fog lamp finishers and exterior mirror housings, and 17’’ Caesium alloy wheels. The GT Line theme is continued inside, where special GT Line sports seats, upholstered in black and red with contrasting stitching, take pride of place. Red detailing on the black seatbelts continues the sporty theme, while the multifunction steering wheel gets a full leather-trimmed rim. Aluminium door sill finishers and aluminium pedals are another unique GT Line feature, as is the red-and-black sports theme of the touchscreen display. 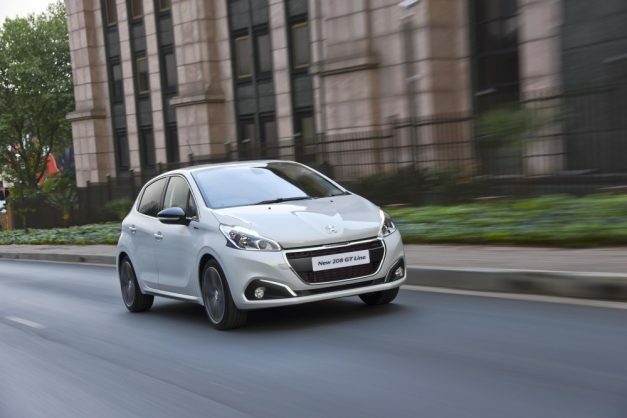 The exterior enhancements to the updated Peugeot 208 GT Line are accompanied by an even greater emphasis on quality and refinement inside the car. The innovative i-Cockpit concept, which arranges instruments in the driver’s line of sight, and acts as mission control by providing access and fingertip control of all the car’s settings has become a Peugeot hallmark. It combines punchy thrills with maximum safety and includes a small, sporty leather-trimmed steering wheel, which contributes to the 208’s dynamic appeal, and promotes closer, intuitive interaction between car and driver. Lighting plays a particularly important role in creating the 208’s special interior ambience, including mood lighting, and white backlighting for the instruments and controls. A trip computer, electric power steering, air-conditioning, electric front and rear windows, a height-adjustable driver’s seat, height and reach-adjustable steering wheel, and a refrigerated glove compartment make sure that every journey will be an enjoyable one. The sound system includes both Bluetooth and USB connectivity. Also standard on the GT Line are an electrochromatic rear-view mirror, auto-activating headlights and rain-sensing windscreen wipers and an automatic bi-zone climate control system ensures a comfortable air-conditioned trip whether it be around the city or to a distant destination. 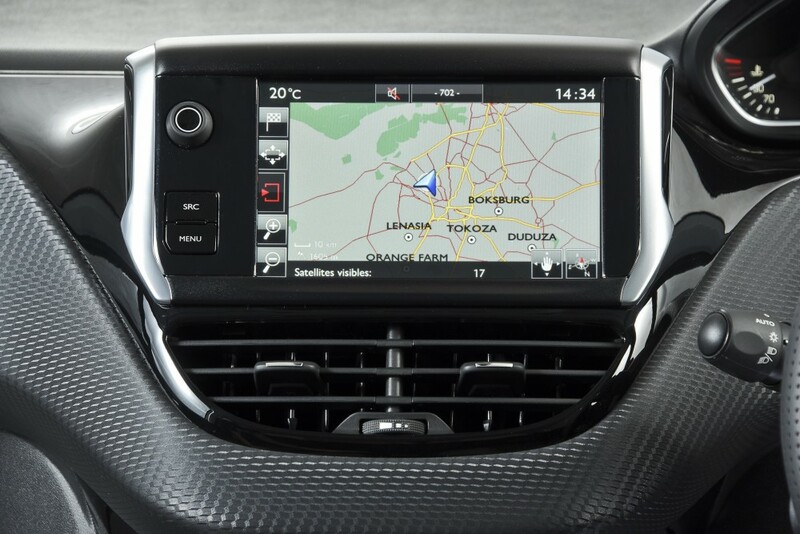 Another cutting edge new feature in the Peugeot 208 GT Line is the Peugeot Mirror Screen® which allows your compatible smartphone to communicate with the car, allowing you to display compatible apps on the 7″ touchscreen and manage them using the vehicle controls. Safe and convenient, Peugeot Mirror Screen® uses the latest MirrorLink® (for Android phones and Apple CarPlay® for iPhones), technology to bring smartphone connectivity to your car whilst keeping your eyes on the road and your hands on the wheel. Normal USB and Bluetooth® functionality is still supported for most other smartphones, accessed from the 7″ touchscreen. The 208 GT Line’s dynamic, engaging character, which it owes to its compact dimensions and supple suspension, is coupled with the 1.2-litre PureTech three-cylinder engine. With 81 kW on tap, it comes as no surprise that the new flagship is also the sportiest member of the range accelerating from 0 – 100km/ in 9,6 seconds. It has a top speed of 190km/h while retaining its five-door practicality. The 208’s exceptional efficiency doesn’t only benefit the environment by reducing CO2 emissions, but also translates into lower running costs, and an overall lower cost of ownership. Amazingly, the combined-cycle fuel consumption is only 4,5 litres/100 km, while CO2 emissions rating is a mere 104 g/km. 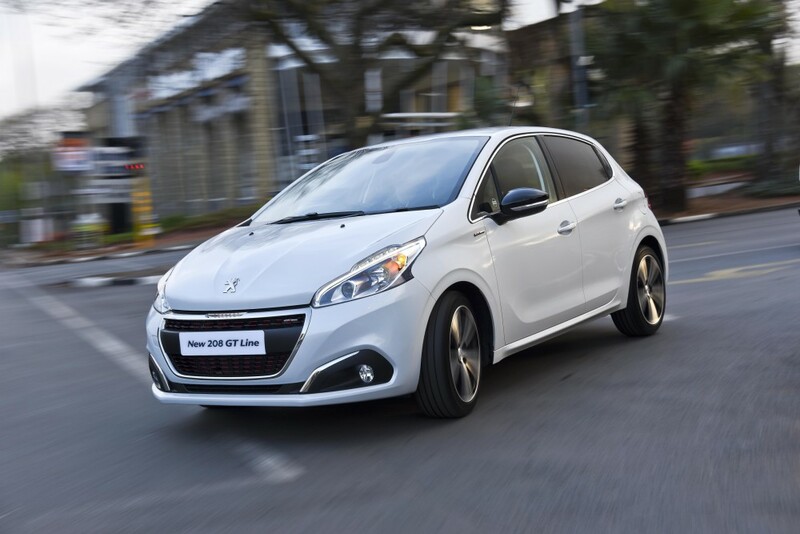 Safety remains a core attribute of the Peugeot 208 which has a comprehensive array of active and passive systems across the entire model range. Active safety systems include ABS anti-lock brakes with electronic brake force distribution (EBD) and emergency brake assist (EBA), while passive features include dual front and curtain airbags, inertia reel seat belts, and front and rear head restraints. The hazard lights activate automatically under emergency braking, while the central locking system automatically locks the doors when driving off. Electric child locks for the rear doors are standard, as are IsoFix child seat tethers. The 208 also comes equipped with an anti-theft alarm. Hallmarks of the PureTech engines on the 208 range include direct injection, low-friction materials and reduced mass, linked to Peugeot’s intelligent engineering. The result is a line-up of engines that achieves a level of performance usually associated with larger engines, but with significantly reduced fuel consumption and CO2 exhaust emissions. Peugeot is one of the leading manufacturers of low-emissions vehicles, with more than half of its global sales made up of vehicles with an emission rating of less than 104 g/km. It has also played a pioneering role in technologies such as Stop/Start systems, and new-generation high-efficiency engines. A turbocharged version of the same 1 199 cc Puretech engine is at the heart of the new 208 1.2 GT Line. It won the coveted Engine of the Year Award in the 1,0-litre to 1,4-litre category, and produces 81 kW of maximum power at 5 500 r/min, together with maximum torque of 205 Nm at 1 500 r/min. “The 208 has been a steadfast performer in the Peugeot stable says Francisco Gaie, MD of Peugeot Citroën South Africa.” The new GT Line is a definite head turner in a segment better known for is practicality rather that its style.” The 208 GT Line improves on an already attractive package by adding stronger visual impact” he said. 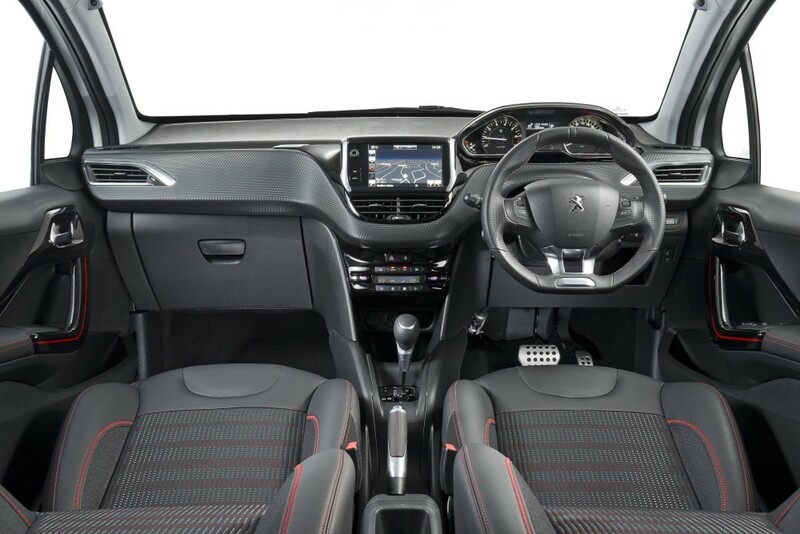 “All 208 models feature our award-winning PureTech technology, which delivers ample zip and impressive economy. The exterior and interior updates have added lustre to an already popular package.” Francisco concluded. Pricing includes a three-year/100 000 km warranty and 3 year/ 45 000km service plan.